Just like anything and everything in life, there are usually many school of thoughts for the same thing. As usual, there is no right or wrong way, just the preferred way. Just take stock investing as an example, you can adopt Value Investing, Growth Investing, Momentum Investing or even Trading approach and all roads lead to Rome, as long as you know what you are doing. Talking about stock investment, one area that many retail investors (including myself, initially) might faced with dilemma is whether to invest (in stocks) using their CPF Fund or not? With my intention of holding on to the stocks for long term, one of my "strategy" in picking the suitable stocks for my CPF Fund is the criteria of consistent annual Dividend Yield (which is higher than the current CPF Interest Rate). Of course, I do aware that future dividend yield is not guarantee but still....I have a better chance of receiving consistent dividend with the track record. 1. King Wan (554) - consistent Dividend Yield of 4.7% since 2011. Of course, it might not be wise to invest all your available eligible CPF Fund in stocks as some sort of diversification is still important. What about you? 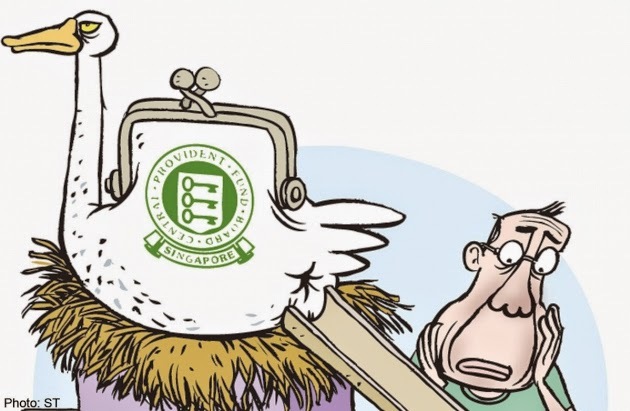 Are you using your CPF Fund to invest in stocks and why? What is purchase price for Super? I went for 6% perpetuals instead. These are not dividend yields. Preference shares, perpetuals, bonds.